Gayla and the girls left me and Petey to fend for ourselves this weekend while they went to visit her sister. 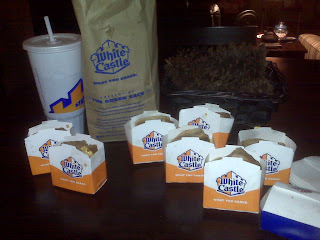 Since we had the house to ourselves the dog and I decided there was only one dinner that would due for Saturday night. This is the picture of the day.